Permanent Membership Card with No Expiry! Healthy Moms offers a curated selection of natural, health-focused and eco-friendly businesses. 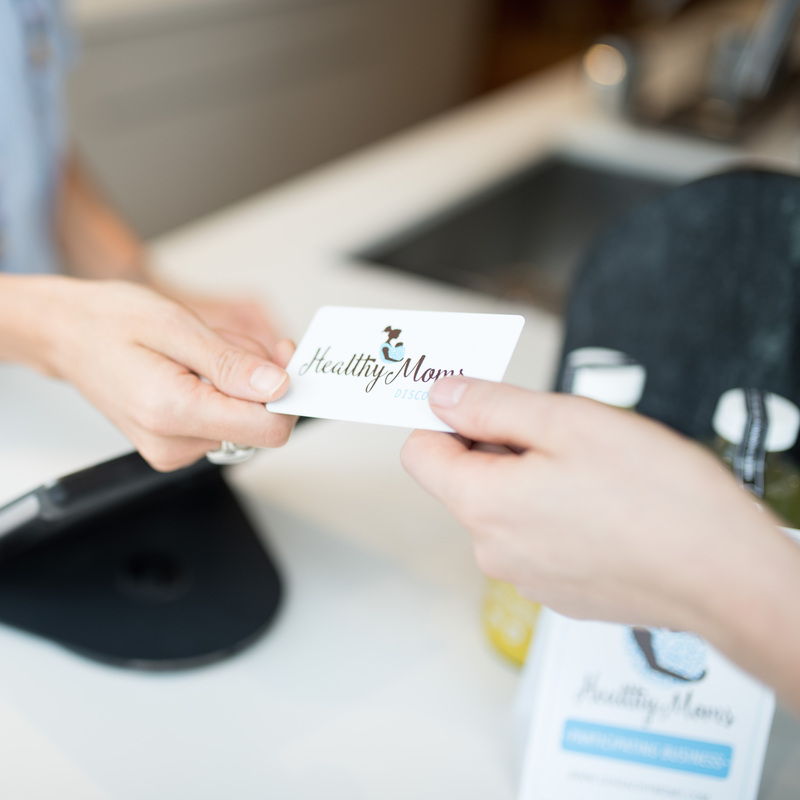 As part of the Healthy Moms community, you will stay informed about the best places to shop and enjoy access to VIP savings and special offers. Your card will arrive by mail within 5-7 business days, however, our mobile app allows you to begin using your card right away. Shortly after placing your order, you will receive an email containing your card number and instructions to activate your card and connect it with the app on your phone. Click here for a full list of participating businesses in your area and the savings you’ll receive through in-store shopping and online purchases.